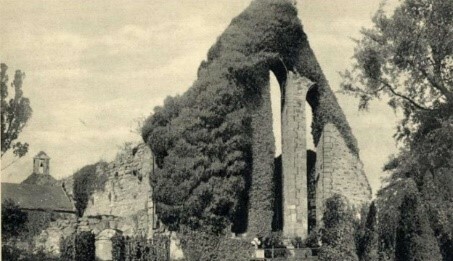 Remains: the church is complete, but the tower has fallen. The site is on a lane to the south of the main street. 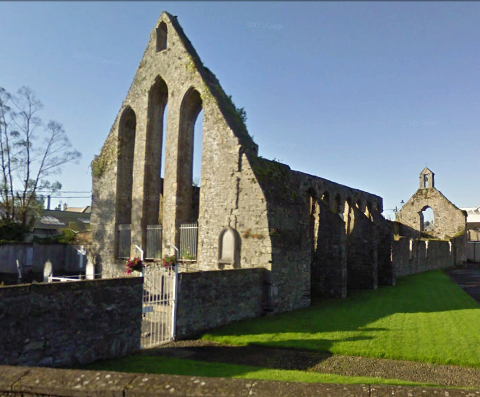 With O’Kennedy sponsorship, Nenagh friary was probably founded before 1252. 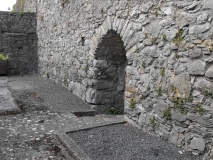 In later times, it became the head-house of the Irish custody within the Province. The O’Carrolls burned the town of Nenagh, including the still-Conventual friary, in 1548. The friars seem to have lived on until about 1587, after which no effort was made to set up a residence until 1632, when the Observants came. The friars were expelled by the Cromwellians, but soon returned. 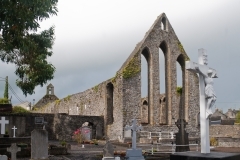 A community was still in residence in the early eighteenth century, but had broken up by 1766. There were still friars working as parish clergy in the area and Fr. 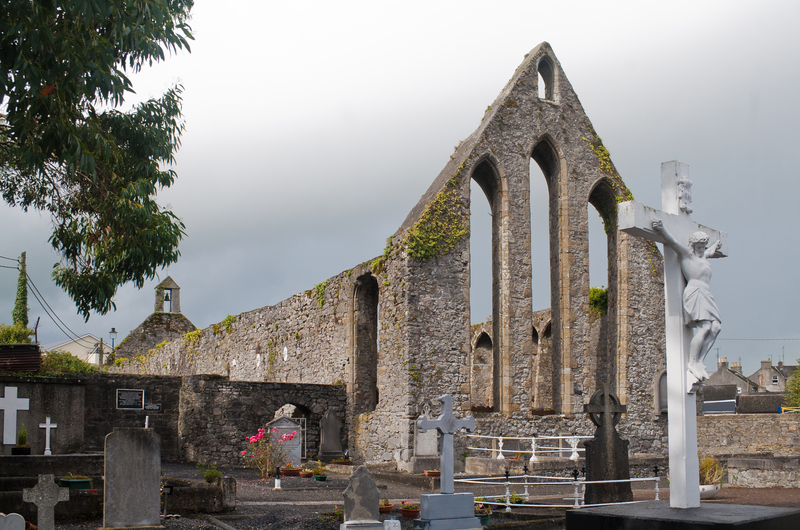 Patrick Harty died there in 1817 as a quasi-curate. 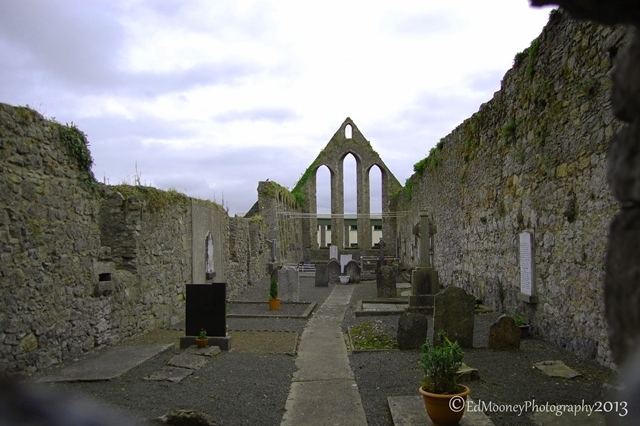 He was the last Franciscan of Nenagh.